Black-eyed Susans alone in a field. 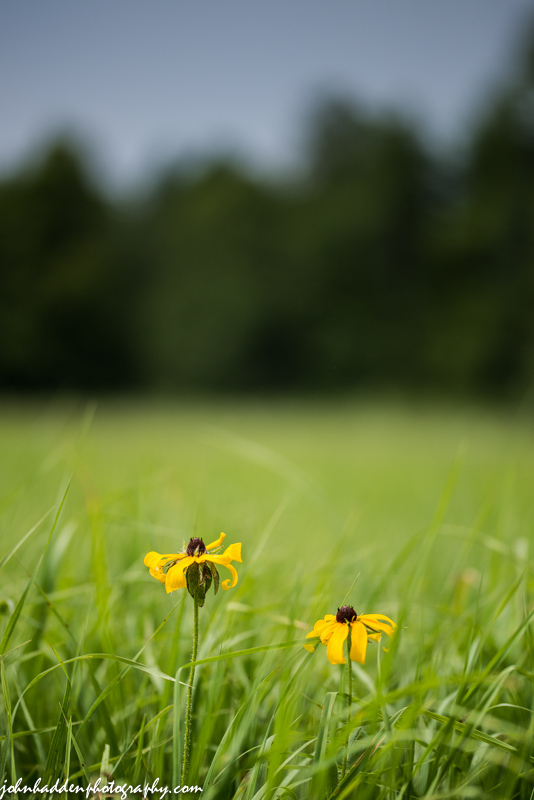 A pair of black-eyed Susans stand alone in a broad field at the Green Mountain Audubon Center in Huntington. Nikon D600, Sigma 105mm lens, ISO 200, f/3, 1/2500″ second exposure. Echinacea, or coneflower, growing in our back garden. 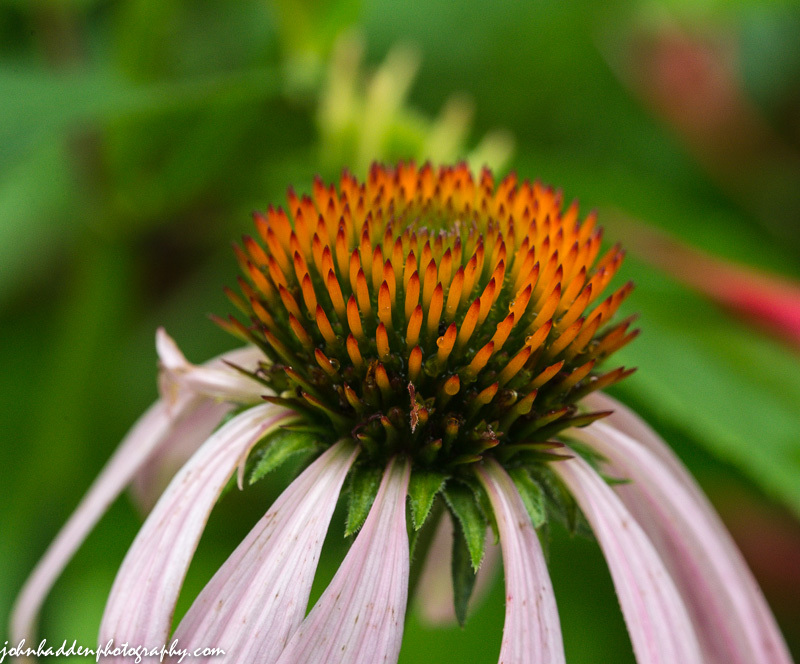 I see a lot of photos of echinacea on the blogs that I follow here on WordPress, but I think there’s good reason for it! There’s something deeply appealing about these flowers. Perhaps it’s the almost translucent spiky central core, or the way the petals droop. I don’t know, but I love shooting them! Nikon D600, Sigma 105mm lens, ISO 1250, f/14, 1/200″ exposure. So many times I take photos of the the colorful and detailed fronts of flowers. 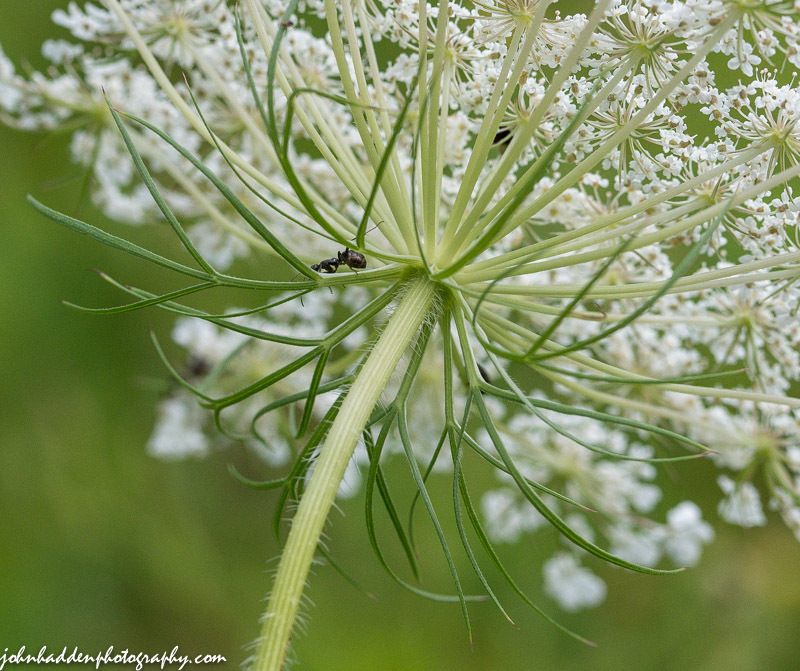 This time I look underneath as a black ant climbs about in the latticework of Queen Anne’s Lace. 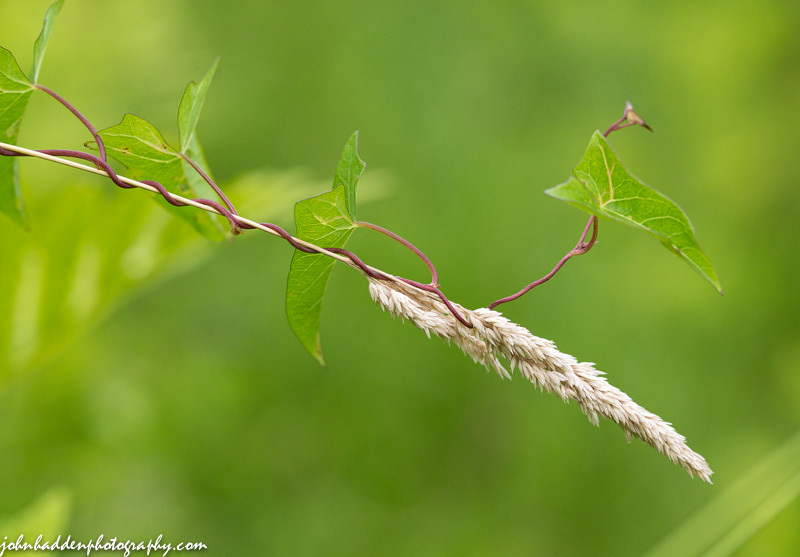 A morning glory vine twines around a stalk of grass. A delicate tendril of morning glory vine twists around a ripened grass head in our front field. Nikon D600, Sigma 105mm lens, ISO 800, f/5, 1/2000″ exposure. 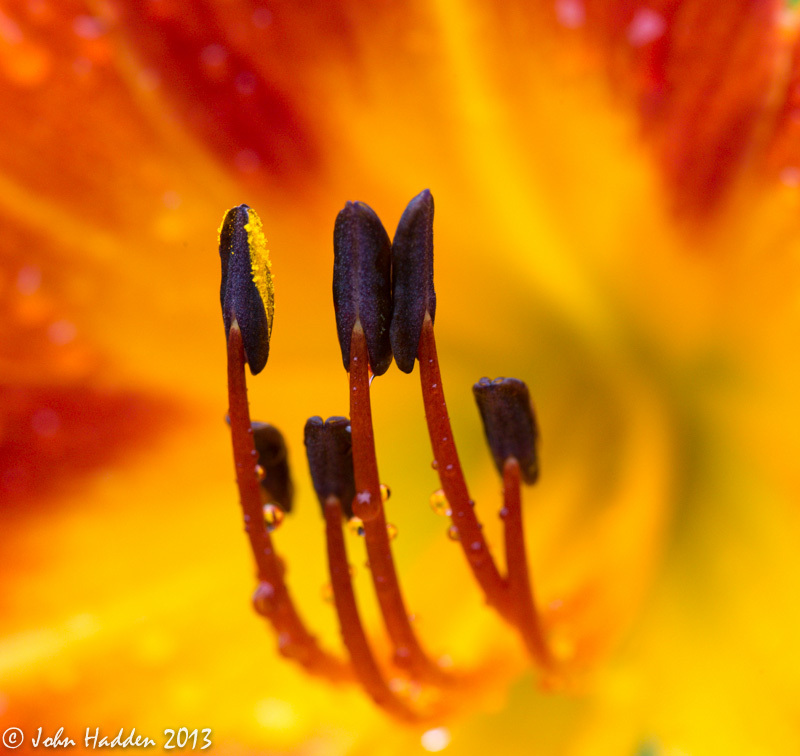 Raindrops cling to daylily stamens out by our pond. The pollen has been mostly washed off the anther (the black bits…) but a small amount remains. Nikon D600, Sigma 105mm lens, ISO 1250, f/16, 1/80″ exposure. 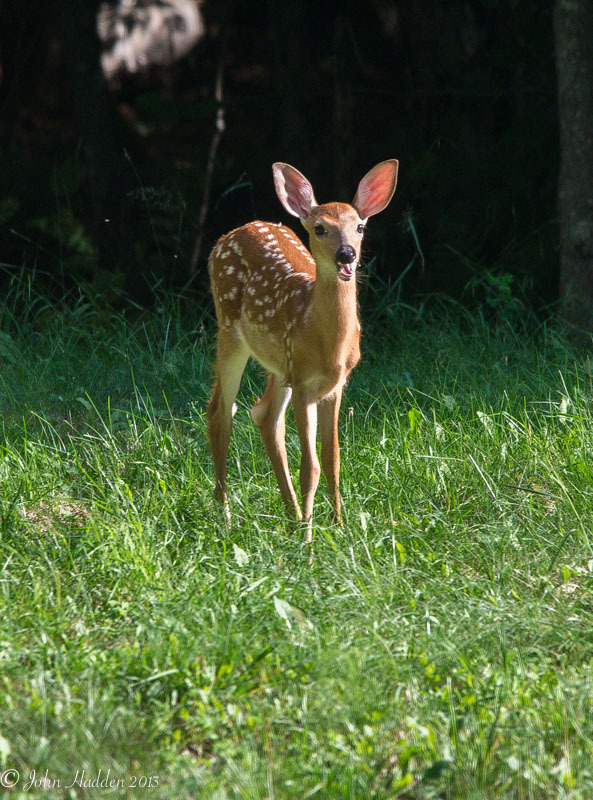 While making dinner at a friend’s house on the shores of Blue Mountain Lake in the Adirondacks, two white tail fawns traipsed out into the field busily browsing on the lush grasses. They hung around for quite some time seemingly unperturbed by me hiding out behind a tree to snap numerous photos. I caught this one in mid-munch! Nikon D600, Sigma 120-400mm lens @ 400mm, ISO 1250, f/8, 1/500″ exposure. I went for a morning swim on Blue Mountain Lake in the heart of the Adirondacks. 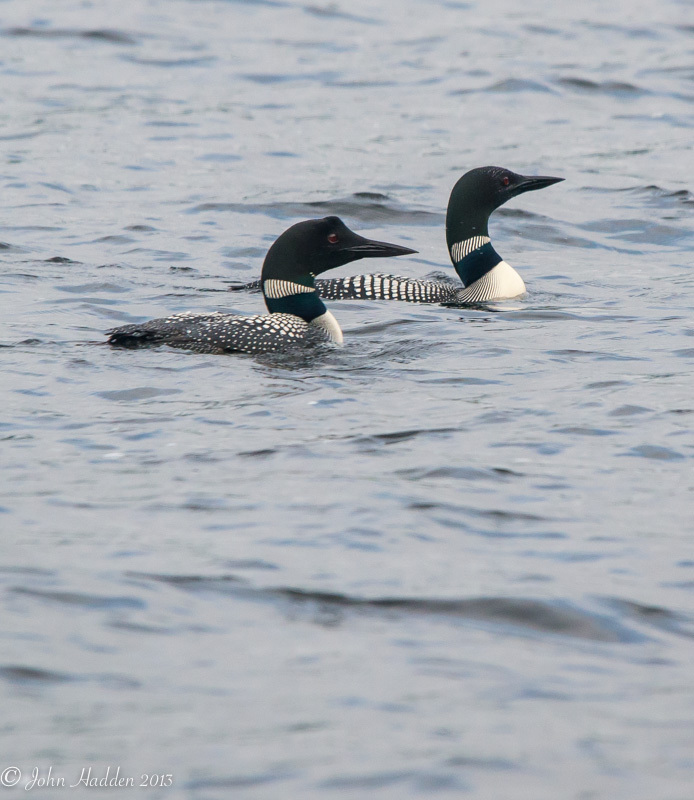 There were four loons about 40 feet offshore busily diving for fish. One of them came up with a big one, but he or she scampered off out of photo range before I could get a shot. These two were kind enough to pose. I think the four were two adults and two juveniles, and these two are an adult and a juvenile. Nikon D600, Sigma 120-400mm lens @ 400mm, ISO 1250, f/8, 1/1000″ exposure. 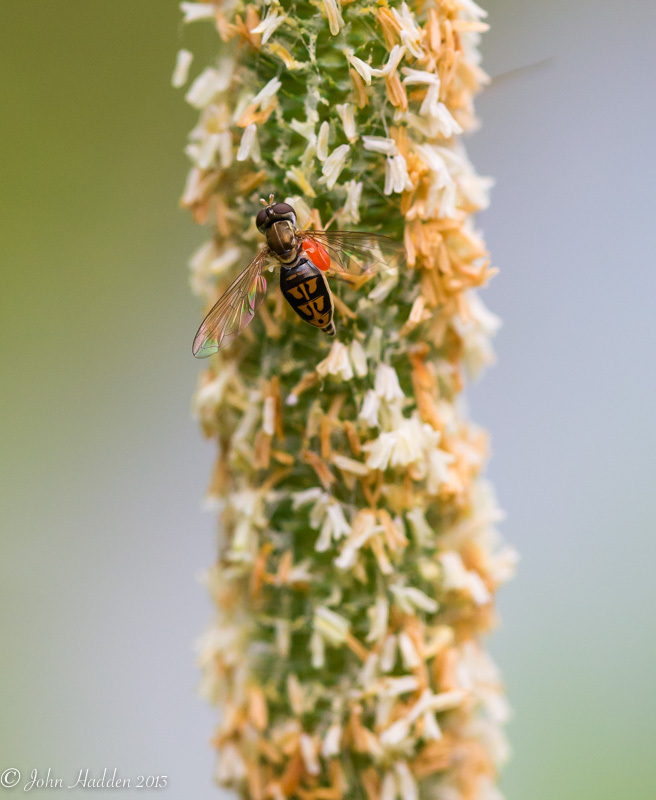 A soldier fly feeds on a blooming grass head. Nikon D600, Sigma 105mm macro, ISO 800, f/8, 1/500″ exposure. 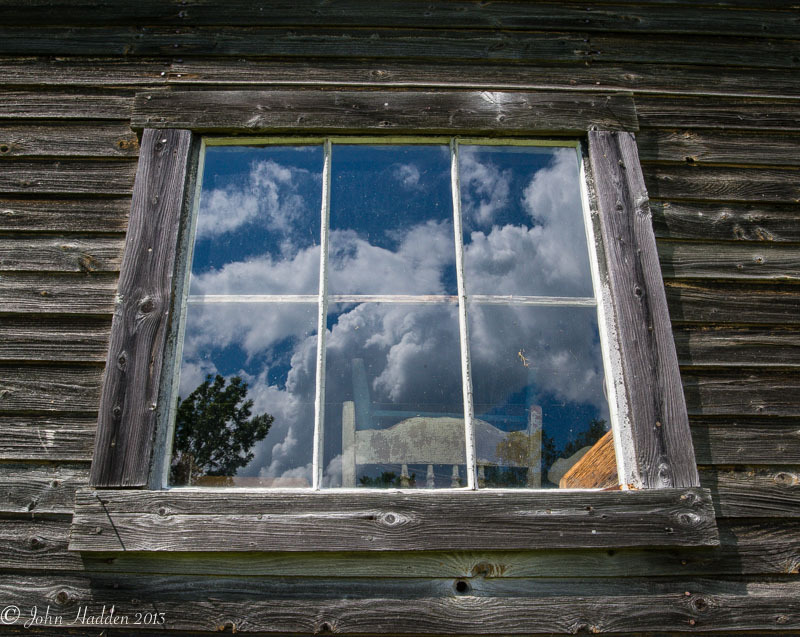 Fair weather cumulus clouds reflect in a weathered window. The humid, rainy weather that we’ve been “enjoying” for the past three weeks has finally broken. We revel in the clear, cool air that is much more typical of Vermont summers. Here, fair weather cumulus clouds reflect in a weathered window of an outbuilding behind the Greensboro Library where my duo, the Swing Peepers, performed yesterday afternoon. Nikon D600, Nikon 18-35mm lens @ 30mm, ISO 800, f/22, 1/40″ exposure.